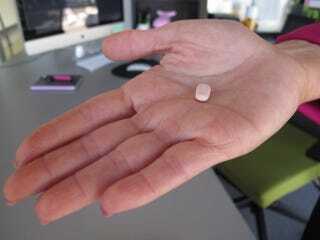 Is Sexism Behind a Delay in FDA Approval of 'Female Viagra'? Women’s advocacy groups, though, are divided on whether flibanserin’s approval (or not) is a case of bias or simply bad science: an organization called Even the Score, which includes members like American Sexual Health Organization and the Institute for Sexual Medicine are claiming it is, while others, including the collaborative Our Bodies Ourselves and psychologists quoted in the Times piece say that Even the Score is exaggerating the need for a women’s libido drug, and that low libido treatment starts in a therapist’s chair, not with a pill. The science of measuring desire does seem nuanced and complex—perhaps it’s an art form as well as a science—and absolutely straddles the line between psychological and physical. But if women are finding the drug helpful, as many seem to be—and as with any medication, whether it’s prescribed by a doctor or picked up from a shelf at Whole Foods, there’s a chance of risk involved—I don’t see what the fuss is about, aside from the fact that it gives a bit of power back to women in making sexually satisfying choices. Just as not all women take, say, can or will take birth control pills for various reasons, not all women with low libido will take something like flibanserin. So why not provide the option for those who want to pursue it?